A list of worldwide access phone numbers is sent to you immediately upon account activation. 1 Invite your conference attendees to dial-in from their country using a toll-free or local access phone number. Assume your planned conference call has participants located in China, US and Russia. The attendee located in China dials the China access phone number. The participant in Russia dials the Russia access number. Attendees in the US dial the US access number. All attendees are instantly joined together upon PIN entry. Regardless of where your attendees may be located globally, they can join your call. Hear clear high-quality connections. No busy signals, no dead air, no voice fading, distortion, drop-outs, audio clipping, stuttering or garbled conversations. The included connection options guarantee you will be able to get everyone on the call regardless of their international location. Invite your participants, send them their access number. Inform your attendees the date and time you wish to host your meeting. 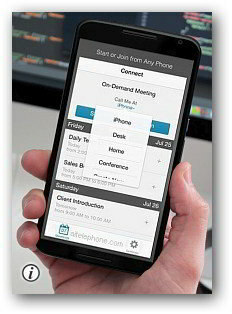 No booking or reservations required, host your conference call anytime 24/7. Ever Need an Operator While on a Call? As an option, provide our operator with the name and telephone number for each of your international participants. You select the time and date and our operator dials your international participants into your conference call for you. Add remote participants to your call using the included dial-out feature. The chairperson has the option to add attendees using the simple dial-out keypad command. Dial-Out is an included feature that enables the moderator to connect a participant to a call without the use of an operator. If preferred, provide our operator with the name and telephone number for each of your international participants. You select the time and date of your call and our operator dials your international participants into your conference call for you. You may also select our branding option. Our operator will reference your company name when joining international participants to your call. Some customers use dial-out because a country where a participant is located does not have an access number. Using the supplied dial-out option may be the only way to get that guest connected to the call. Other customers use it to save money because many times the dial-out rate is lower than the toll-free rate for a particular country. Dial-out can also be used if the chairperson wishes to have more control of the call start time. With dial-out, there's no waiting for the participant to dial-in. Dial-out is also used to bring a caller into a conference that is already in progress. For instance, during a telephonic job interview, the host may want to converse with others on the call before talking to the applicant. The dial-out feature enables adding the applicant instantly to the call at the appropriate time when everyone is ready for the interview. When you are ready to connect a new attendee, enter this command [ * 1 ] star key + 1 key on your keypad and then follow the voice prompt and dial the attendees' phone number. The Connect app is a free tool included in your account. It can be used by the chairperson and any of the attendees. No need to dial or remember access numbers and passcodes. Use with iPhone, Android, Blackberry, PC or Mac. Connect to the international conference call using Skype® with no compatibility issues. Send out the toll-free and local access numbers to your participants. Or 'dial-out' to add participants without disconnecting the call. We offer more than one international conference call bridge, namely Legacy and Expanded. The country access number availability and rates differ between our two conferencing bridges. Both international conferencing platforms use PSTN (Public Switched Telephone Network) as opposed to VoIP. This ensures superior line quality and reliability for your important global audio conferences. The Expanded service offers more connection options to serve remote teams and participants. In addition to providing toll-free and local access numbers worldwide, this international conference call service is unique in offering a concentration of access numbers in the following regions. Whether you sell international real estate or computer software, you may occasionally need to interact with people around the globe. An international conference call enables speaking with multiple parties including associates, lenders, buyers, sellers, bankers, transaction coordinators, lawyers, and business partners instantly and globally. However, due to the sporadic nature of your international conference call needs, it may not make sense to invest in a sophisticated phone system with international conference calling capabilities or sign up for a monthly international conference calling plan with usage requirement constraints. Even if yours is a predominantly local business, you may have a team or executives and associates who travel overseas frequently. In general, the more upscale your clientele, the more likely it is that someone from your enterprise may need to take trips out of the country. The same is true with an executive clientele. When your clients leave the country and an important question arises, how will you communicate? What if several people need to participate in the call? The first time you find yourself in a situation where you need to hold a conference call with at least one party located outside of the country, you may discover that your traditional conference calling services don't work as expected. For example, while you and your associates simply dial an 800 number to access a scheduled teleconference, your international client will run into a major problem: that U.S. 800 number doesn't work from overseas. Providing your client a direct line to call from their country will bypass this issue. This issue is solved if you provide the attendee with a toll-free access number to use from their country location. Our no-contract, on-demand international conference call service is the answer for anyone that anticipates needing to make conference calls with guests overseas. Choose our plan with no minimum usage requirements to ensure that you pay only for the calls you make. Since there's no contract and no penalty for not using the plan, you will not incur fees for non-usage periods. At the same time, knowing that you can make affordable international conference calls at any time brings you the same peace of mind as an ongoing service would bring. Once you've activated your account, you can use it as often as you'd like. You can also go months at a time without using it and the account remains ready for your use again. 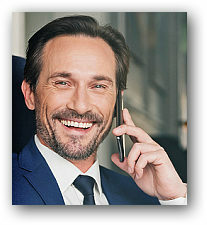 International conference calling works much like traditional domestic conference calling in that each participant dials a dedicated phone number, enters an access code, and begins communicating with other attendees. With international conference calling, callers from different countries dial country-specific phone numbers to access the call. This means that US callers dial a US phone number while those located in Argentina dial an Argentina phone number. Many users of the service will benefit by having a local access number as an option because in some countries it is more accessible than a toll-free number while using a mobile phone. If your client uses a landline, the included toll-free numbers provide ultimate convenience and ensure that your clients do not incur any fees to access your phone meeting. Included with each new account is the feature known as international dial-out. Many customers enjoy the cost savings associated with the dial-out feature because dial-out rates can be significantly lower than toll-free dial-in rates. Instead of the guest dialing into your call, the leader can use the dial-out feature and add the participant through our international conferencing bridge, very often at the lower dial-out rate. The dial-out rate depends on the country location of the participant. The chairperson can use the dial-out option to gain more control when hosting a meeting. By being able to summon a participant, the leader can control the meeting by dialing-out and place the attendee into the call instead of waiting for the participant to dial-in to join the call. When your attendee cannot dial-in to your call because no dial-in number exists in their locale simply use the dial-out option. There are some situations where your attendee may not be able to dial-in from their country location due to no toll-free or local access number is available in that country. Using the included dial-out option solves this issue and enables your call to proceed. Using the free Connect app. Whether you have overseas clients or a traveling business partner, international conference calling can ensure that everyone who needs to be involved in a discussion can participate regardless of where in the world they may be located. You can collaborate globally on-demand 24/7. Some country rates have 3 decimals.